Anna shortstop Olivia Place throws to first base during a Shelby County Athletic League game at Russia on Monday. Place had several big defensive plays in the Rockets' 9-5 victory. Anna's Brielle Collier swings during a Shelby County Athletic League game at Russia on Monday. Anna pitcher Elaina Crosson throws during a Shelby County Athletic League game at Russia on Monday. Crosson pitched a complete game and allowed four earned runs on nine hits. Russia first baseman Ashley Scott swings during a Shelby County Athletic League game at Russia on Monday. Anna shortstop Olivia Place throws to first base during a Shelby County Athletic League game at Russia on Monday. Place had several big defensive plays in the Rockets’ 9-5 victory. Anna’s Nylah Crosson swings during a Shelby County Athletic League game at Russia on Monday. Crosson was 2 for 4, including a double. View more photos of Anna at Russia softball here. 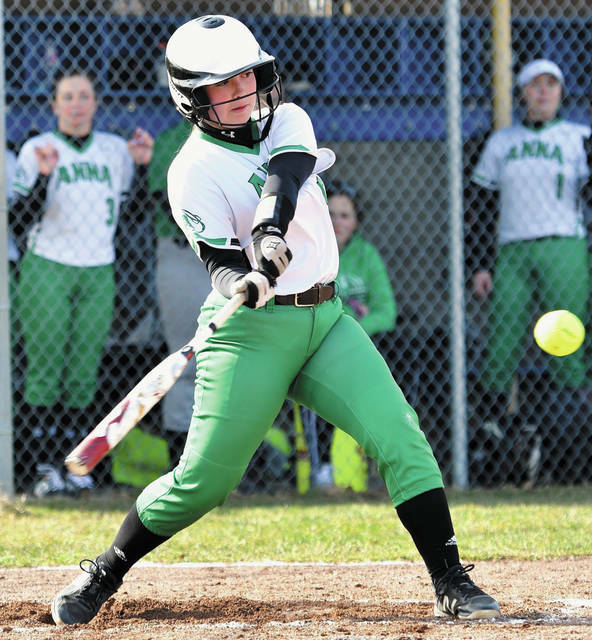 RUSSIA — With a veteran roster that includes some of the best hitters in the Shelby County Athletic League, Anna is hoping to earn a rare league title. The Rockets showed in an SCAL game on Monday their hopes are realistic. Anna hit early and often and handed Russia its first SCAL loss in three seasons with a 9-5 victory. None of Anna’s five seniors had beaten Russia in their prep careers. And as expected, the Rockets’ hitting has been great. Anna (4-0, 3-0 SCAL) had 12 hits against Russia pitchers Morgan Wenrick and Sophie Francis. 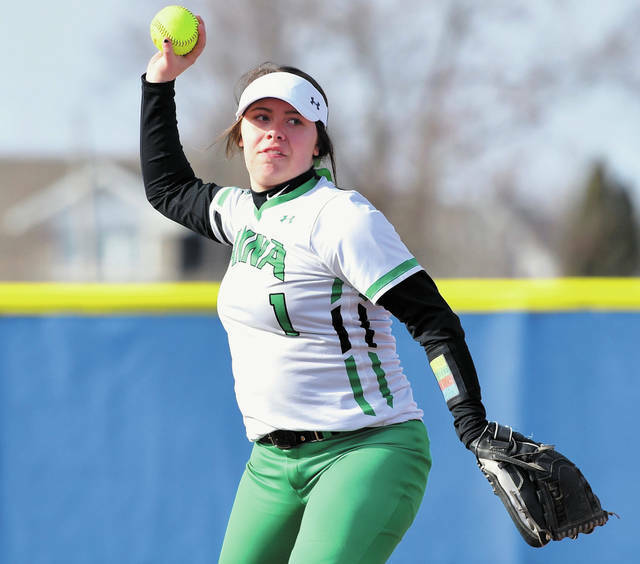 The Rockets hit .410 as a team last year and had earned run-rule victories against their first three opponents. Their nine runs on Monday is the fewest they’ve scored this season. 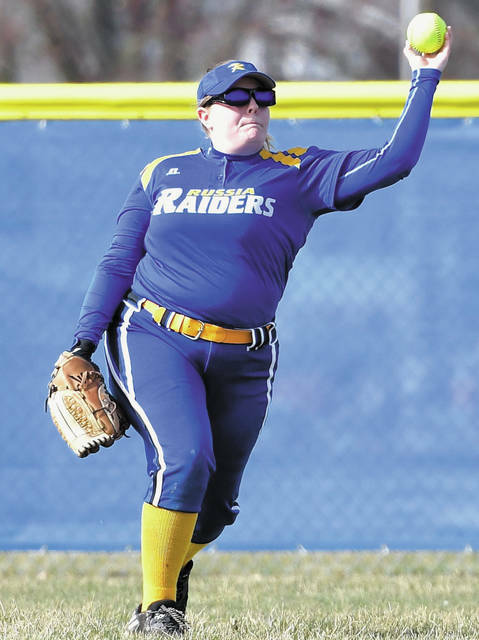 The Raiders (1-2, 1-1) committed four errors, including two in a costly second inning that saw Anna turn a 1-0 lead into a 5-0 lead. 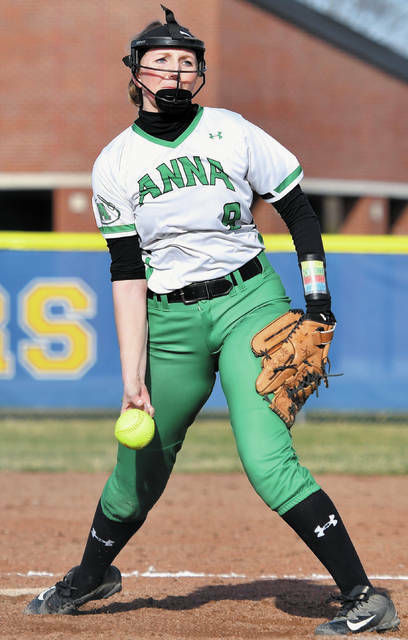 Anna senior pitcher Elaina Crosson picked up the win for Anna and pitched a complete game. Crosson, who will play collegiately at Edison State, gave up nine hits — three of which came with two outs in the ninth as Russia tried for a late rally. Anna took a 1-0 lead in the first after two hits and one fielding error by Russia and then took control in the second. Grace Maurer had an RBI single to left field to increase the lead to 2-0, then Carey White reached on an error. Taylor Spence hit into a fielder’s choice, but a fielding error on the play resulted in Nylah Crosson scoring from third. Shortstop Olivia Place then hit a sacrifice fly to increase the lead to 4-0, and Elaina Crosson hit an RBI double to left field to add another run. “It was key for us for confidence, to be able to know that we’d be able to hit their pitching,” Place said of the big early innings. Russia subbed in Francis for Wenrick at the start of the third, and the Rockets added one run off one hit and one error in the inning. The Rockets put the game away with three runs on three hits and an error in the fifth. Nylah Crosson and Maurer both hit doubles in the inning. Nylah Crosson, Maurer, Spence and Maggie Stiefel were each 2 for 4. White was 2 for 3. Jenna Cordonnier hit a home run to left field with two outs in the seventh to bring Russia within 9-3, then Riley Hammonds hit a single on a hard grounder to center field and Kennedie Goubeaux hit an outfield double. Shea Borchers followed with a 2-RBI single to center field, but Wenrick lined out to end the game. Muhlenkamp was pleased with the way the team fought late. Borchers also homered for Russia on a shot to left field in the second inning. Anna will travel to Houston (2-3, 2-0) on Thursday in another key early-season SCAL game. 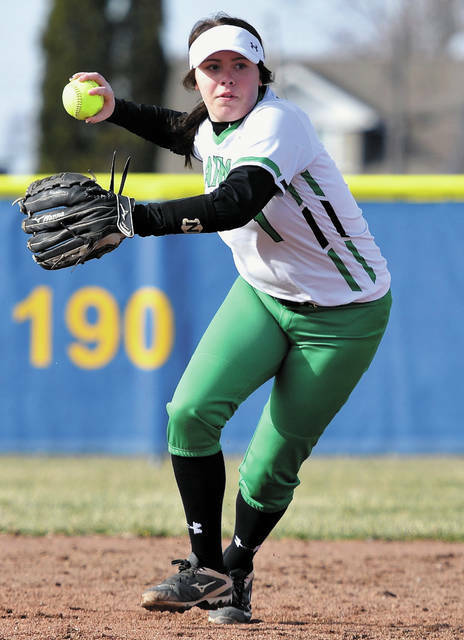 The Wildcats, which beat Fort Loramie 6-3 on Monday, are the only other undefeated SCAL squad. The Rockets and Russia will meet again in SCAL play on April 25 in Anna. Russia will look to bounce back on Tuesday when it travels to St. Henry for a nonconference game. “Our girls are having fun,” Muhlenkamp said. “That’s our theme this year, having fun. We play this game because it’s fun, and we constantly remind them of that. It’s a game of failing over and over, and you’ve got to have fun with it. We’ve got to have fun with it, and they’ve really stepped up. There’s a lot of new girls in positions, but they’re not letting them bother them. https://www.sidneydailynews.com/wp-content/uploads/sites/47/2019/04/web1_BPB_1472-copy-2.jpgAnna shortstop Olivia Place throws to first base during a Shelby County Athletic League game at Russia on Monday. Place had several big defensive plays in the Rockets’ 9-5 victory. Anna’s Brielle Collier swings during a Shelby County Athletic League game at Russia on Monday. 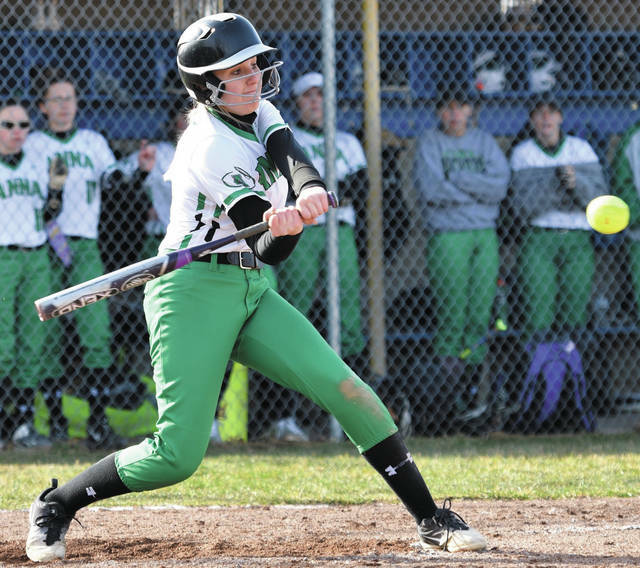 https://www.sidneydailynews.com/wp-content/uploads/sites/47/2019/04/web1_BPB_1444-copy-2.jpgAnna’s Brielle Collier swings during a Shelby County Athletic League game at Russia on Monday.